No one believes the truth…but it is still true, nonetheless. The killer (in a good way!) Funko Pop Chucky vinyl figures are here to stay! Subjects from the Child’s Play film franchise are the main focus in the Pop! Movies set. 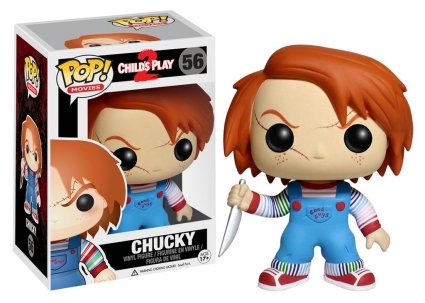 Funko Pop Chucky begins the series with the Child's Play 2 figure version of the "Good Guys" doll. A freckle-faced Chucky wears blue overalls over a rainbow-striped shirt. The Hot Topic exclusive variant adds some blood and both versions wield a silver knife. Shop for Funko Chucky Figures on Amazon. 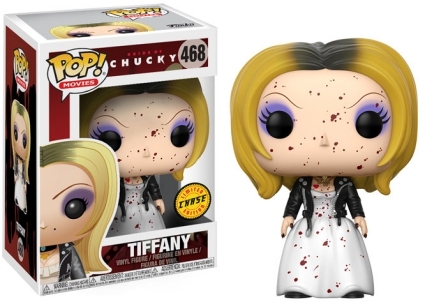 Fans of 1998's Bride of Chucky also have a bloody good time ahead of them with Tiffany in the lineup, as well as a scarred Chucky exclusive. 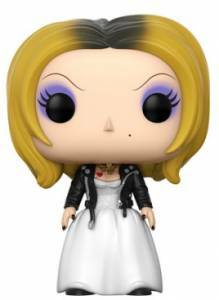 Shown in a leather jacket over her wedding gown that is cut low enough to reveal a heart tattoo, the main Tiffany figure is joined by a splattered blood chase variant that averages 1 in 6 boxes. 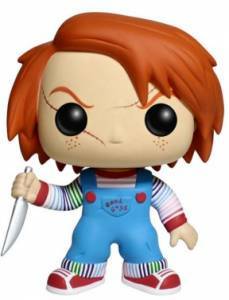 Funko Pop Movie Child's Play 2 (II) Chucky #56!!! 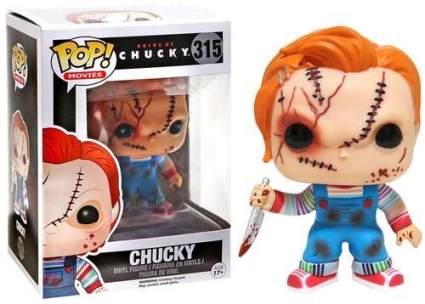 View related Chucky figures with our other Funko guides. Funko Pop! 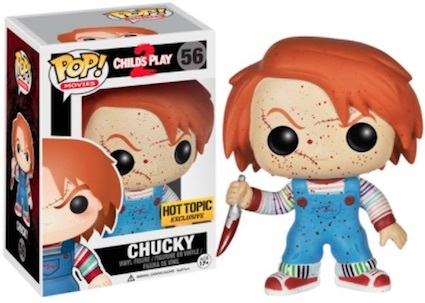 Chucky on Cart Child's Play 2 Hot Topic Exclusive "Bloody custom"